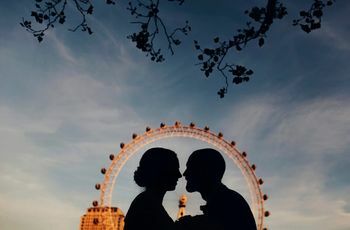 The Most Popular Types of Wedding Venues in the UK | Wedding Tips ARE YOU A SUPPLIER? 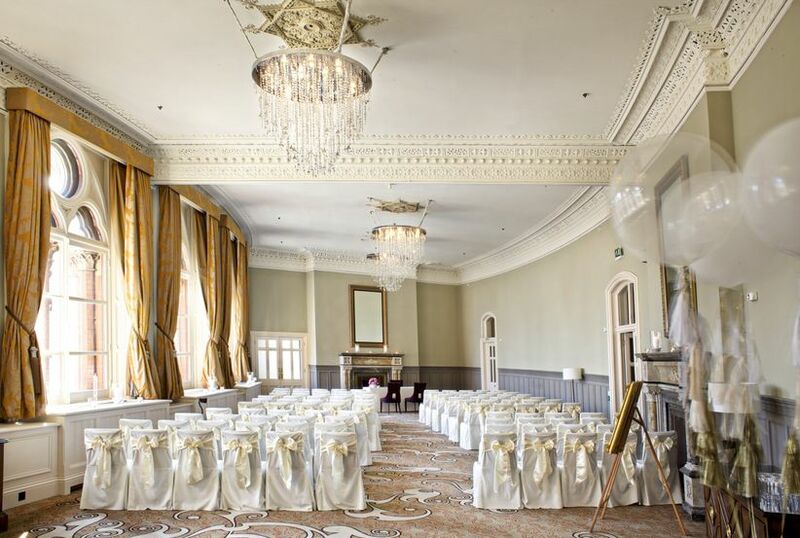 From castles to conference centres, there are plenty of wedding venues styles out there. Here are a few of the most popular types in the United Kingdom. Ready to dive head first into the wonderful world of wedding venues? Of course, you are! Narrowing down the type of wedding venue you want for your big day is one of the first steps you’ll take in the wedding planning process, and it’s a big one. 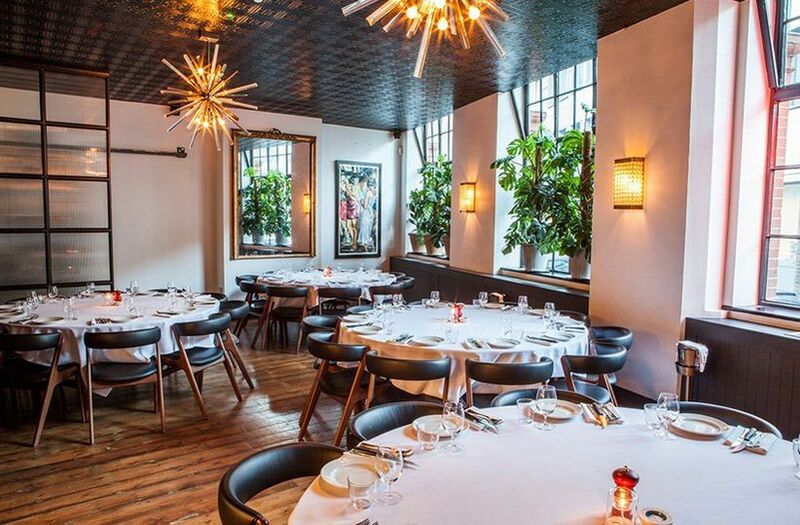 Whether you’re in the market for something historical, like a castle or museum, or something ultra-modern, like a trendy restaurant or warehouse, you’ve got plenty of options to choose from. 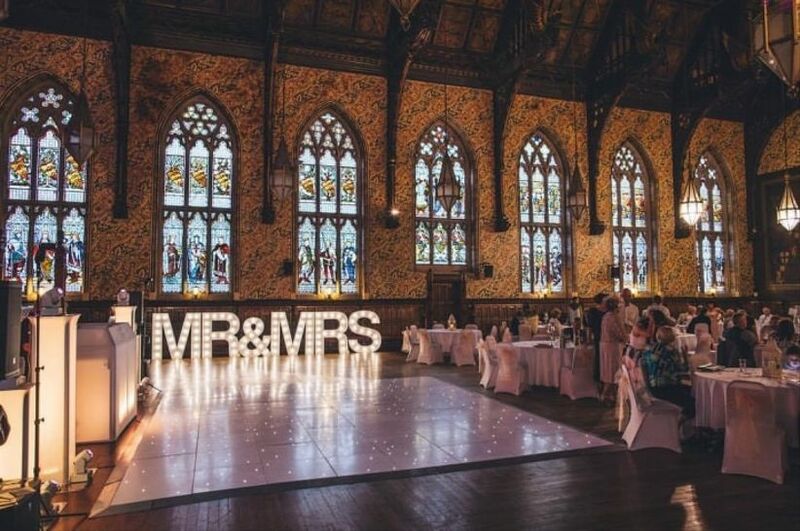 Here are the most popular types of wedding venues in the UK. Naturally, you want to feel like royalty on your wedding day, so kiss your humble home goodbye and upgrade to a monarch’s residence. 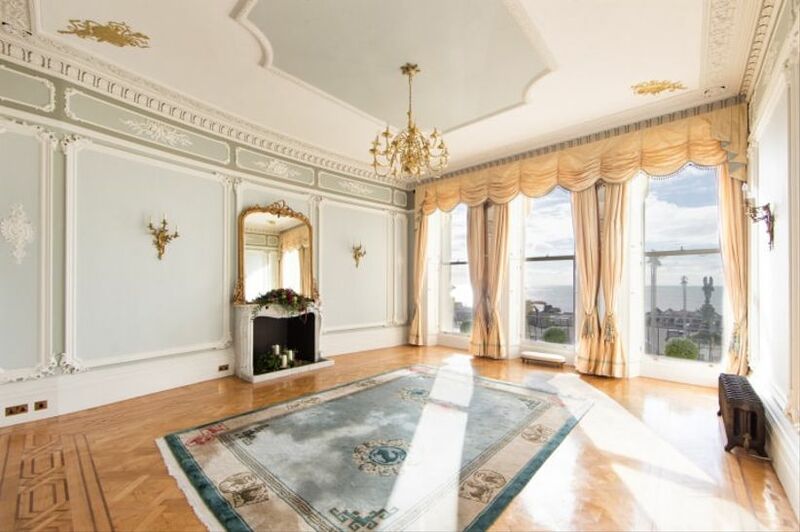 The UK is filled with gorgeous castles, so you should have no trouble finding one that suits your style. 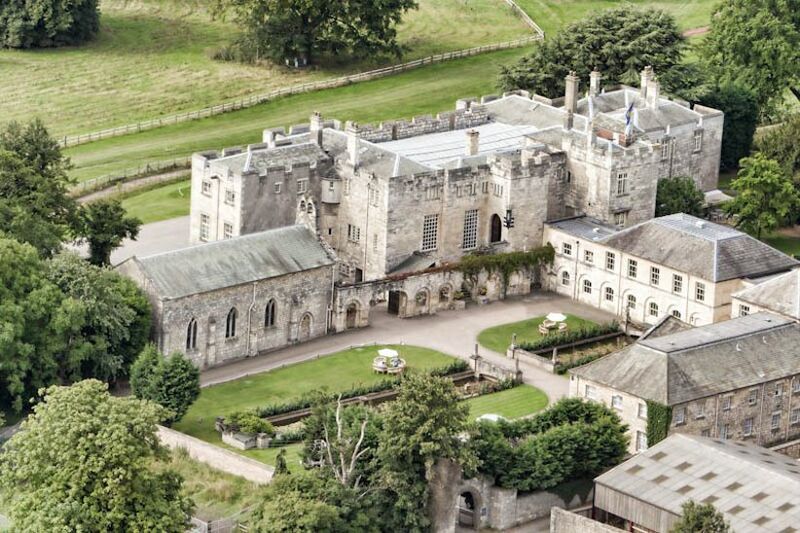 From West Yorkshire’s idyllic Hazelwood Castle to Northern Ireland’s Belfast Castle, there are plenty of castle wedding venues worth adding to your scouting list. If you’re using Alice in Wonderland as your inspo, a garden party is an obvious choice for your wedding. You won’t have to invest a million pounds in bits and bobs to spruce up the space - you’ll be surrounded by beautiful flora and fauna (better than DIY bunting, probs). 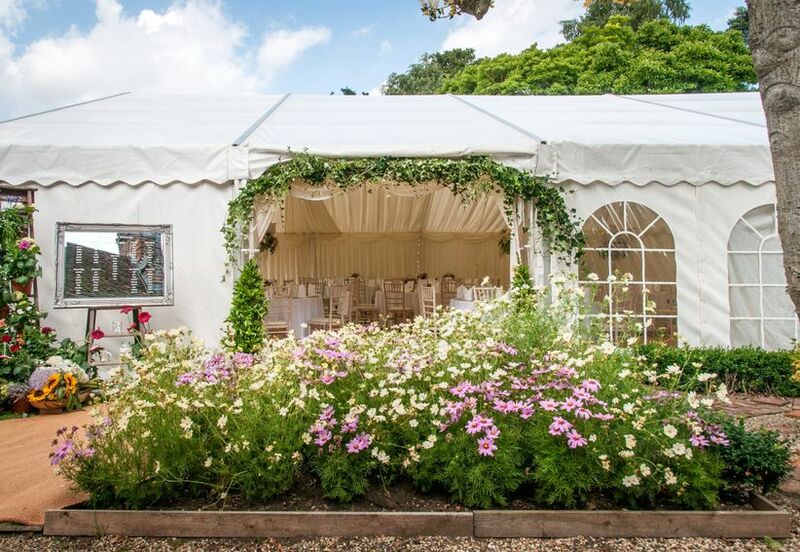 Keep in mind that unless you’ve chosen a temperature controlled conservatory, these spots are weather sensitive, so you’ll want to choose a wedding date in one of the warmer months. 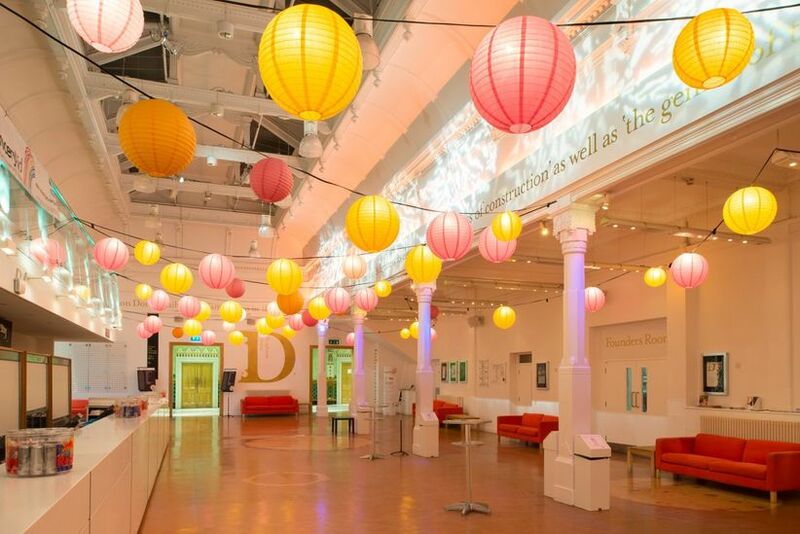 Infuse your wedding with a bit of historical flair by setting it in a museum or gallery. 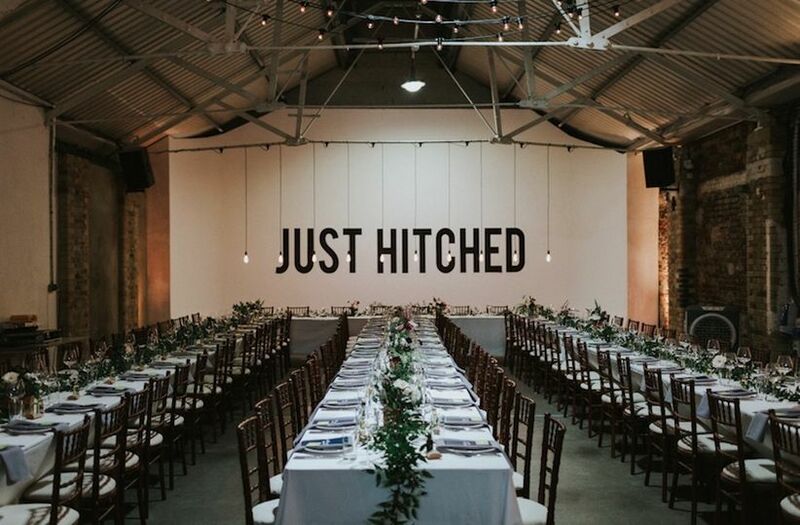 You don’t have to be a history buff to appreciate this type of wedding venue - you’ll be treated to plenty of space and built-in decor that can’t be beat. I mean, dinosaur bones and world-renowned paintings are much more impressive than anything you’ll find in the shops, right? Speaking of historical flair, if ancient artifacts aren’t your thing, a museum isn’t your only option. 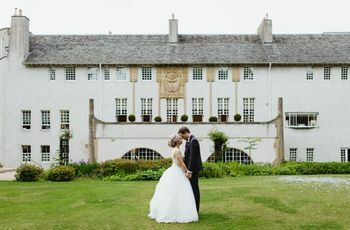 The UK is filled with beautiful historical homes and mansion wedding venues that are downright stunning (and may even give you a bit of inspo for your own flat). Remember, many heritage houses have strict rules about changing furnishings and ornamentation, so you’ll want to ask your venue coordinator about how much you can rejig for your big day. Love all things industrial chic? Well, warehouses and lofts are probably right up your street. 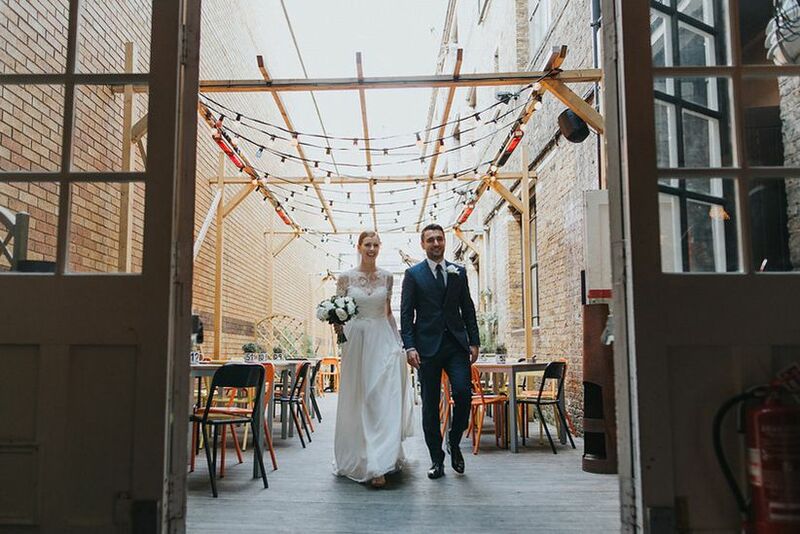 Hallmarked by high ceilings and exposed bricks and beams, these types of wedding venues are ideal for couples in the market for something more modern than a Victorian townhouse. As an added plus, they’re usually quite bare bones, so you can go just about any direction with your theme and decor. You know what they say, the way to someone’s heart is through their stomach. Make all of your wedding guests fall in love with you by giving them the most memorable dinner (and party) of their lives at one of your favourite restaurants. You won’t even have to worry about sampling caterers because you’ll already know the menu is top notch! 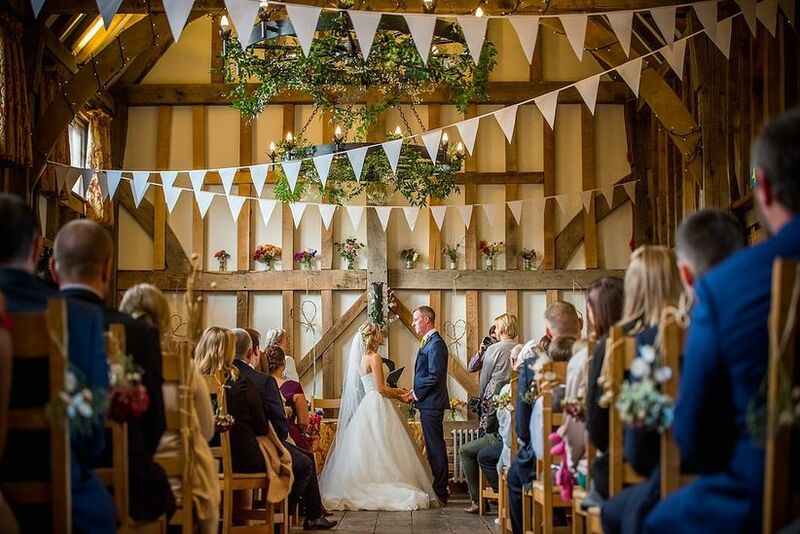 Bid farewell to the bustling city streets and head out to the countryside for a peaceful and picturesque wedding in a barn. 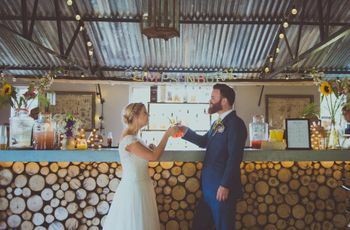 This type of wedding venue is perfect for rustic chic affairs, so think about complementing it with a naked cake, indie playlist and plenty of fairy lights (AKA the stuff that Pinterest dreams are made of). P.S. they usually offer plenty of space both inside and out, so you can go ahead and add some extra plus ones to your guest list. Government buildings aren’t just good for admin, they’re also amazing wedding destinations! 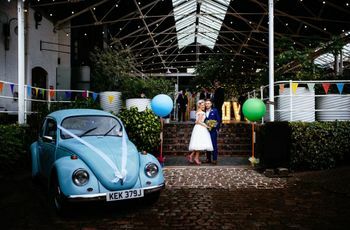 This type of wedding venue usually gives off vintage vibes with its decor (think chandeliers and wood panelling), making it ideal for the couple who wants to harken back to simpler times on their big day. Bonus: most town halls are licensed to hold ceremonies and have event rooms for receptions, so you won’t have to hunt down two different venues for your big day. Even if favourite pastimes don’t include hitting the green, a golf club offers the perfect grounds for an indoor-outdoor wedding. They boast impeccably manicured lawns, beautiful interiors and plenty of beautiful backdrops for wedding photos. Before you set your heart on any golf club, in particular, you’ll want to check that venue hire is available for non-members (this can sometimes be an issue). 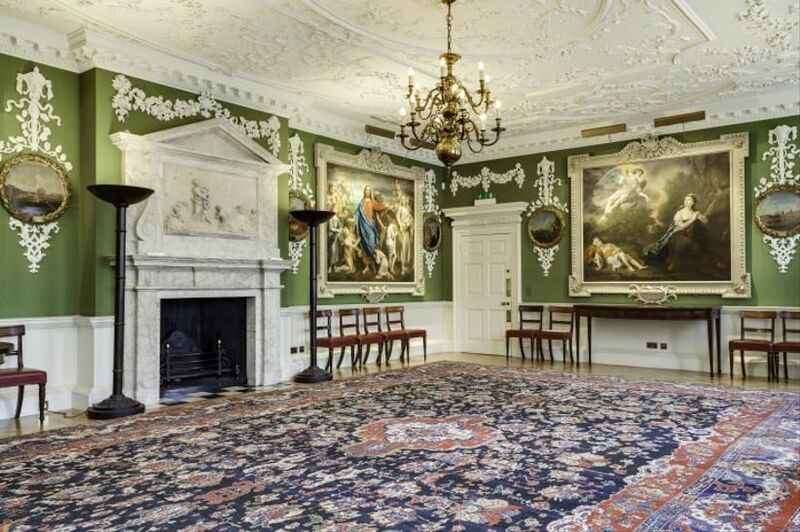 From artsy boutique hotels to giant skyscrapers filled with ballrooms and bistros, the UK has it all. So, whether you want a luxurious hotel wedding with 500 guests or an intimate affair with only a handful of your loved ones, you should have no trouble hunting down the destination of your dreams. As an added plus, you won’t have to look for accommodations - you and your guests can easily book rooms right in your venue! If you’re looking for something big with chameleon abilities, a conference centre might just be the perfect option for you. As they’re used for events of all kinds, they usually boast neutral colour palettes, options for room dividers and furniture rentals - making them easy to overhaul for your big day.